I absolutely can recommend the guided tour at KCD. Our guide was amazing and had many interesting facts to share. The tasting was a highlight, you really could taste why this whiskey is special. Worth checking out! The one hour tour was informative and fun, with tasting of all their offerings at the end. Their bar across the street is very cool, stop-in for a unique whiskey-cocktail. 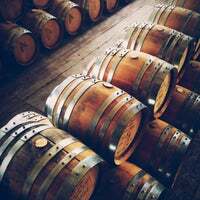 Super interesting even for non-whiskey drinkers. The chocolate bourbon is a must! The cocktail bar serves up some wonderful experimental cocktails. I had a grapefruit-jalapeño margarita. Excellent! This place is fantastic! We took a tour lead by the tour director and she was amazing. Highly, highly recommend the tasting as well. Chocolate or Grapefruit Jalapeño Bourbon was surprisingly good! Take the tour and tasting. 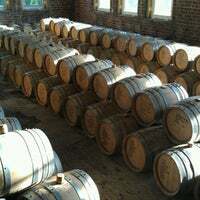 Their peated bourbon is incredible. If you want something unusual, go for the chocolate bourbon. Unusual - but in a really good way. Passionate and knowledgeable people behind this whiskey. Cool building, great tour, and amazing cocktails at the bar. Highly recommend a tour followed by cocktails. Ambiance! Loved the plants, wooden table tops, spiral stone staircase, old beams. Intimate date spots abound inside (cozy up in a turret!). The John Collins was delicious. Try the chocolate bourbon! Great environment. Tour was enlightening and detailed with varying mini Flights depending on guide. Tasting room is unique but would like more guidance for first timers that are new to the brand. This place is just the best. So chill. As of Summer 2015 - You can go on Friday's and Saturday's and drink the whiskey made here at the picnic tables outside + food is available. Really wonderful place! 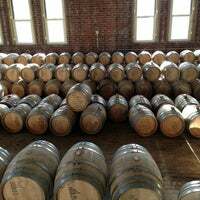 For $8 you get a tour and can sample their moonshine, bourbon and chocolate bourbon. During the summer they also have tastings and food in the back yard! Great for an afternoon into eveing. Mixed drinks are not very strong but go down easy so you can spend a lot of money here. This is a very fun hangout on a beautiful day. Not many food offerings. Friday tour is interesting and value for money and guide is charming. Don't miss the distillery cat! Took an incredible tour and then visited the cocktail bar at the gate. Incredible liquor and mixed drinks, great staff and beautiful facilities! This place is in a weird location so it feels secret. The room is beautiful in a dark, rustic way and the cocktails are nice. They do whisky flights too. Take the tour, have the tasting, and end up at the bar for an Irish coffee. Fun place to visit. Great whiskey. Tour is really informative and was given by one of the owners. Totally worth the price. Check it out. Excellent tour and peak inside the process. 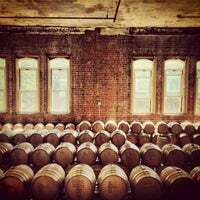 Imagine an extremely well-decorated whiskey bar with extremely good whiskey in a castle building on a random street in Brooklyn. Go there. This place is a gem with great drink and snacks. 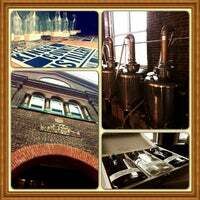 Take the distillery tour! Won’t regret it. 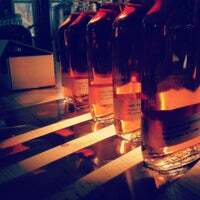 There’s also a whiskey flight of their single barrel whiskey at the gate bar. Very interesting tour from passionate staff, great bourbon and some cool merchandise in the shop. 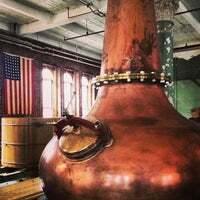 Get a taste of their moonshine at the end of the tour. It tastes just like you think it would! 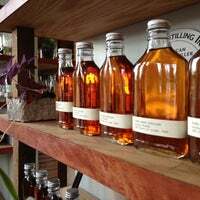 Outstanding tour guides and a delicious whisky tasting variety. Go to the garden while you still can! Closes after the summer. Moonshine-Whiskey-Fruit Infused Moonshine! Try them all. Chocolate whiskey is surprisingly good on Friday nights in the summer. WHISKEY try the ehsiejy. It's very good. Samples are nice. Whiskey, get hat. Good whiskey. 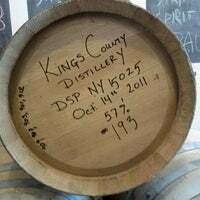 Juice Box Wine & Spirits in Windsor Terrace is proud to feature Kings County 40%, 70% and bourbon whiskies. 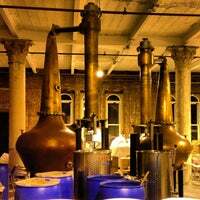 Ask for the secret chocolate bourbon they have been brewing up. You'll never look back after that. The guard at the gate has a Napoleon complex. Tours Saturday 2:30 - 5:30. Don't go to 63 Flushing Avenue. 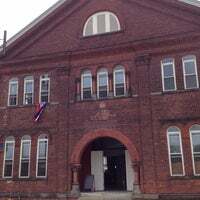 Enter the Navy Yard at Sands St and go to Building 121. 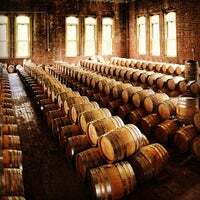 Kings County Distillery is New York City’s oldest operating whiskey distillery, the first since before prohibition, making makes homemade bourbon and moonshine. "The bar is open! Kitchen to open next week. Pleasant breeze, excellent cocktails, simple, gorgeous decor-- great date spot." 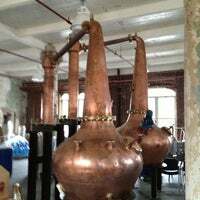 "Best distillery tour I've been on - Bridget is incredibly knowledgeable and her rum is fantastic. Definitely go!" 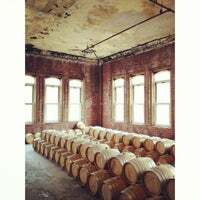 "Authentic local distillery in Red Hook area, Brooklyn. Tasting tour is free is you purchase a bottle, also choice of few VERY good whiskey based cocktails. 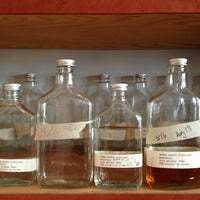 Try SINGLE MALT - it's outstanding." 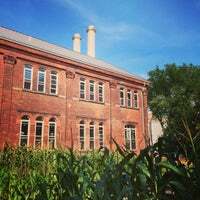 "On Wednesdays at noon, the Brooklyn Grange sets up a farmers market with crops they harvested that morning. Get the fresh veggies!" "Awesome spot with fun events. Go early, buy a bottle of wine, and linger with friends and good views." "New to the dessert menu: carrot cake with cream cheese ice cream (not frosting) and some salty pumpkin seed goodness that will blow your mind. Highly recommended."